The LG G2 is ridiculous. In the last few weeks we saw the release of the Moto X. 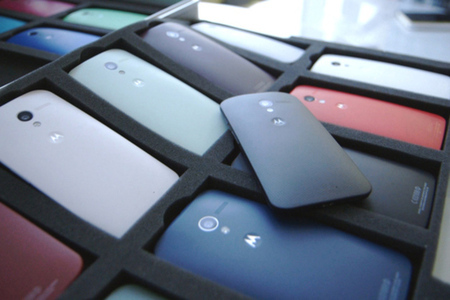 The concept behind the Moto X is the exact opposite of the LG G2. It has a 4.7 inch screen and slim bezel, nice look and feel. It looks like it'd be very comfortable in the hand. Motorola, now being owned by Google, has kept the operating system 99.9% stock android. Stock android runs smoother, looks better, and last longer than any skin I've ever used. Power/volume buttons are on the back. While Samsung and LG have created very similar looking skins that offer interesting little additions you can't find elsewhere, they amount to bullet points on the back of the box, commercials and for sales reps, but sadly most people won't get much use out of them. It's downright poor design by Samsung and LG. They have access to stock android with which to build off of, but it looks like LG took Samsung's Touchwiz and starting building off of that, and the result is something even more ugly. 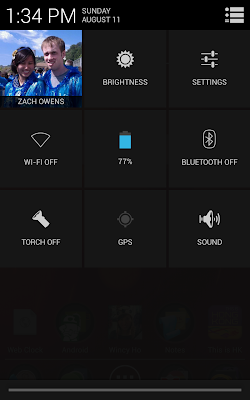 When you pull down the notification center on LG's G2 you have quick toggles along the top and you can scroll left to right to reveal more (just like on Touchwiz). 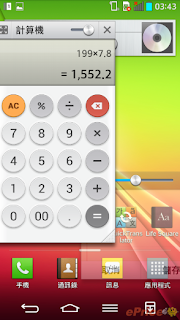 Beneath that there is another scrollable line of QSlide apps that open in small windows for multitasking. Beneath that is brightness control (just like Touchwiz) and beneath that volume control. As you might expect that takes up a lot of space, which means you won't start seeing notifications in your notification center till you get toward the bottom of the page.... just...why? When I pull down my notifications bar I want to see notifications. On Samsung and LG's UI (especially LG's) there is so much clutter you won't see your notifications till you get half way down the panel. This is not just ugly, but annoying, especially if you have a lot of notifications. How could they not notice, and how could they be ok with it? Notice Google made a separate pull down in stock android for all your quick toggles to keep things nice and clean. LG and Samsung could have done something similar, but they crammed them all together on one page. 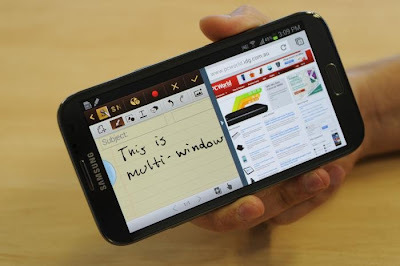 Samsung has multi-window, and LG has Q-slide apps for multi-window/multitasking. Neither are terrible ideas, but where LG has decided to place them is terrible. Sony's UI is fairly close to stock (especially when compared to Samsung and LG), and they have similar small window apps, but they did something much smarter than LG. To find the smaller windows on a Sony device, you bring up your multitasking window, and you'll find your small windows... Get this... The way you multitask with multiple windows is found on the multitasking page! Either this, or simply placing the small apps, and quick toggles on a separate pull down panel, like stock android, is smarter, cleaner design. What about the placement of the power and volume keys on the LG G2 you ask? They claim it is better because while in a call your finger falls there naturally. That may be true, but what about when watching a video or doing anything with your phone in landscape mode? Is LG completely out of ideas as far as how to separate their device from the rest of the pack that they've moved the placement of the power and volume buttons and called it innovative design? Only time and testing will tell whether this button placement will be a problem when keeping your device in your pocket or laying it on it's back on a table. Did I mention the Moto X can be designed by you? 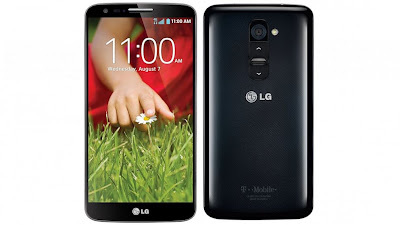 better design, while the LG G2 has the latest tech specs, but terrible design. LG has made a copycat device. 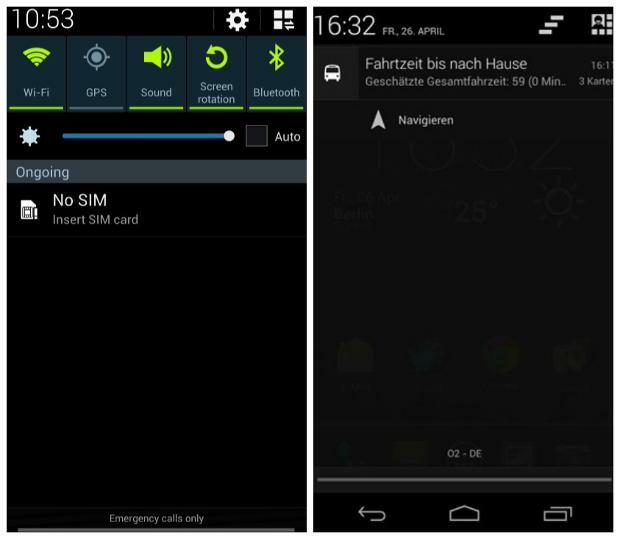 Not only does the UI look basically like Samsung's Touchwiz, but the device itself looks like a Samsung phone. It's shaped similarly, and looks like it's made mostly of a glossy slippery plastic. 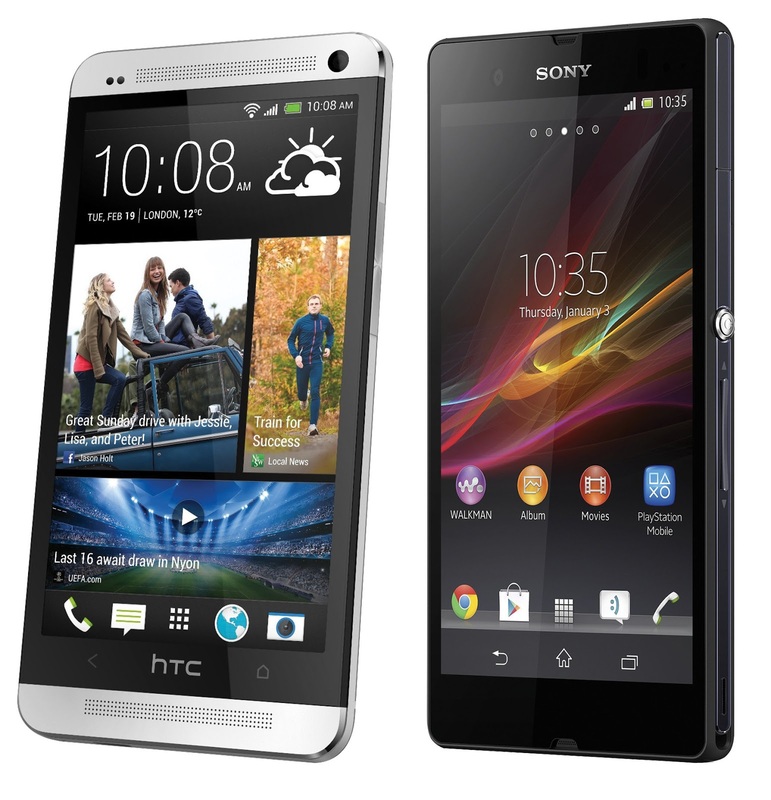 While the plastic may seem cheaper when compared to devices like the HTC One or any device with a glass panel back (Sony Xperia Z, Nexus 4) the difference is a trade off. 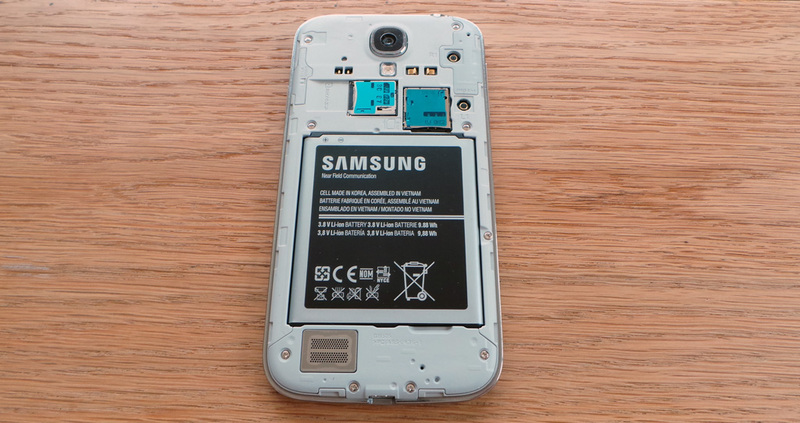 You either get more solid/premium look and feel or you get a plasticy look and feel but with the added ability to change batteries (if yours is dying or you want to put in an extended battery) and put in an SD card. The HTC One and Sony Xperia Z look and feel more premium than any Samsung Phone. 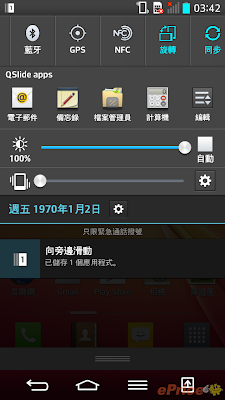 For this reason Samsung devices are great for people who like to root their phone and try out different custom roms. Even if you hate Touchwiz, you can put on a more stock-like rom, and then you'll have the latest tech specs, ensuring your phone will be fast and last a long itme, but you can customize the outside by adding different batteries (or keeping spares) and adding SD cards, and even possibly different back panels if you want. 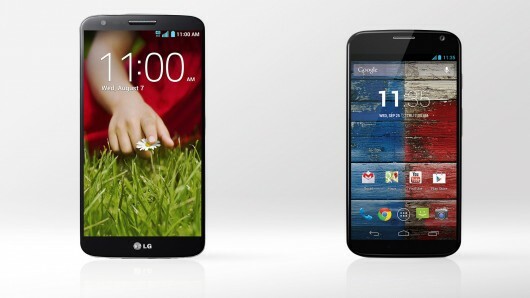 So surely the LG G2 will be similar right? Well no. Yes you can still root it and put a more stock-like rom on it, but their boring plasticy backing is not removable. I will say I like the screen size at 5.2 inches, and they should have a nice camera, but the rest is not so good. Released with Android 4.2, already behind with the OS. 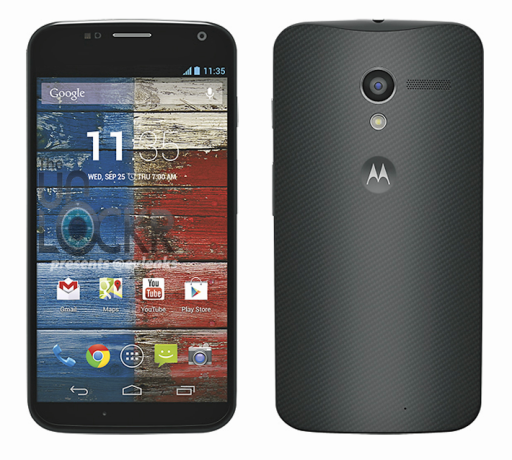 The Moto X on the other hand is likely much more efficient. You also don't get a removable battery or SD card support, but the design of the phone is so nice, not just in the look and feel of the shell, but the OS is essentially stock android, with a few nice (useful) features added. We are getting to the point where specs just don't make that much of a difference anymore. 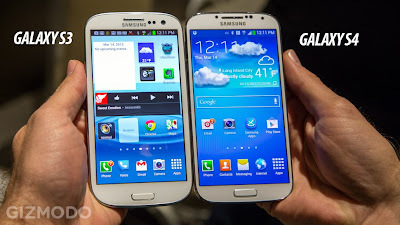 The Samsung Galaxy S3 and the S4 are essentially the same phone. The look and feel of the device, and usability matters more than anything else. Samsung and LG have gotten too wrapped up in trying to add ridiculous features that sound cool in commercials, but most don't work that well or end up being gimmicks that you'll stop using after the first day of owning the phone. Samsung already has so many add-on features that aren't all that necessary that their OS takes up a ridiculous amount of space. They claim that you have 16gb of storage, but after the OS you have about 9gb of actual usable storage space. And if they keep adding more of these ridiculous features, the OS is going to take up more and more space and create an even more laggy experience. As a result of the skin and added features updates will always take longer to reach you. Google will update their operating system and it'll take months for you to get it, if you get it at all. Most of the time Samsung or LG or Sony will have to reskin it and roll it out for just their most recent devices, meaning you may or may not get it at all, and if you get it, it may not be very optimized for your device. 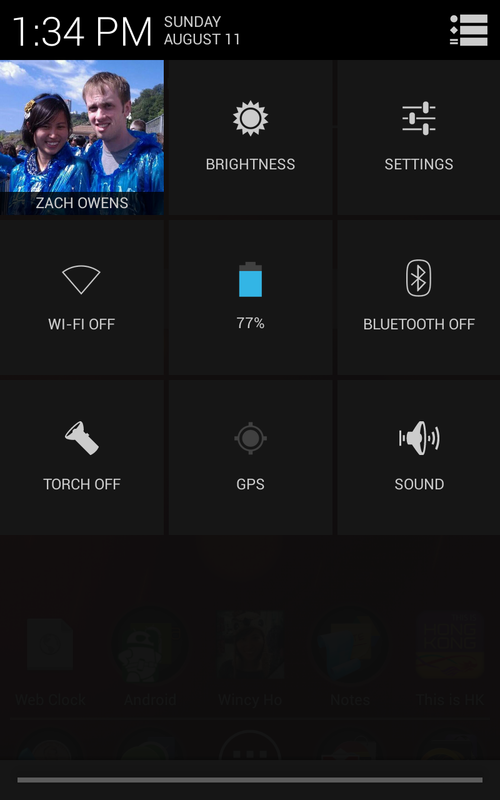 I've owned several Samsung/touchwiz powered devices and I've had the same problem with every one of them. After about a year it will start slowing down and becoming more choppy/laggy, and it only gets worse the more updates they roll out to it. However, my Nexus 7 has received several updates and a year later it's still running buttery smooth like the day I bought it. You'll usually get maybe two updates within the two years you have your Samsung device. My Galaxy Note i717 received two updates over the year and a half I've had it, and it got to the point where it was a pain to use because it had become so slow and choppy. At that point you have to root it and that will fix a lot of the problems, but it'll be even better once you put on a custom rom. Which tells me that the hardware isn't too out of date to be usable, but the operating system is not efficient or optimized. 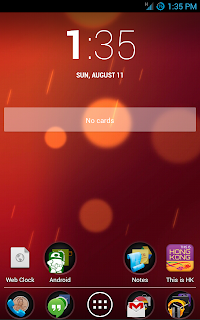 If a stock-like custom rom can run fine on older hardware, clearly something is wrong with Touchwiz. There is no reason to believe that it'll be any different with LG's G2. While I don't see any of these manufacturer's parting with their custom UI's, the bottom line is that they will never be as good as a device running stock android, or even a custom rom similar to stock android. That is where the Moto X will always be better than these spec powerhouses. We can possibly assume that because Motorola's new phones run something very close to stock android they will be able to push updates out to their phones much quicker than the more heavily skinned competition. So when it comes down to it, I'm waiting out the Nexus 5, but if I had to buy a phone today or soon, I wouldn't fall for the spec war. Despite the smaller screen (4.7 inches) I'd pick the Moto X (or on August 23rd) over the S4, the G2, or even the HTC One.